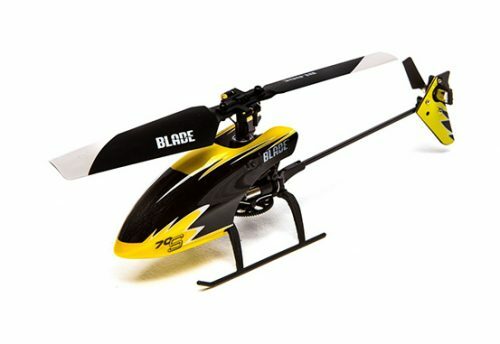 The Blade 120 S features exclusive SAFE (Sensor Assisted Flight Envelope) technology, a revolutionary electronic flight envelope protection system that makes it easy for anyone to fly helicopters with confidence by providing flight mode versatility and Panic Recovery mode that automatically returns the 120 S to a level attitude. 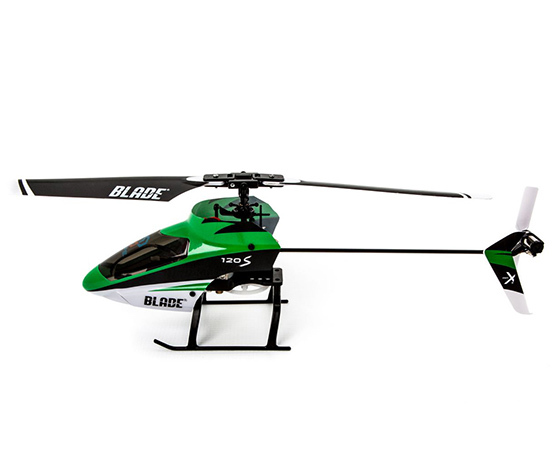 Larger than a micro-class machine, the sub-micro 120 S is great for outdoor flight in low wind, yet it’s still small enough that it can be flown in a variety of indoor spaces. Plus, it’s practical to have more batteries on hand since the 120 S uses a low-cost 1S Li-Po battery. 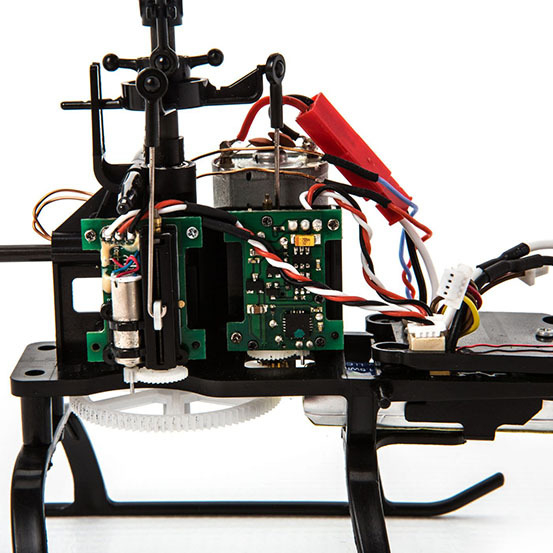 The two 2.9-gram linear long-throw cyclic servos deliver the ideal level of torque and speed for precision and stability that’s remarkable for its class. 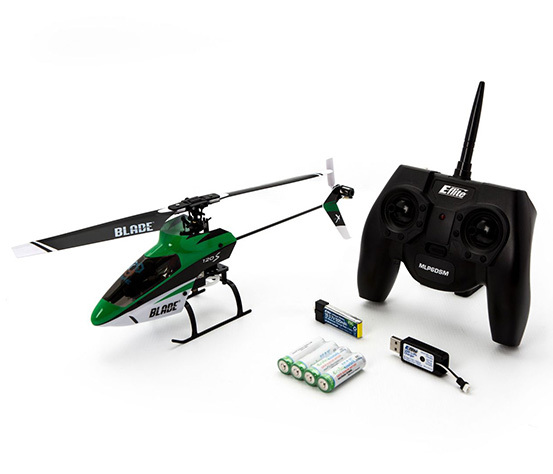 The factory-installed 4-in-1 control unit features a Spektrum™ 2.4GHz DSMX®-compatible receiver, main and tail motor ESCs, mixer and flybarless controller. 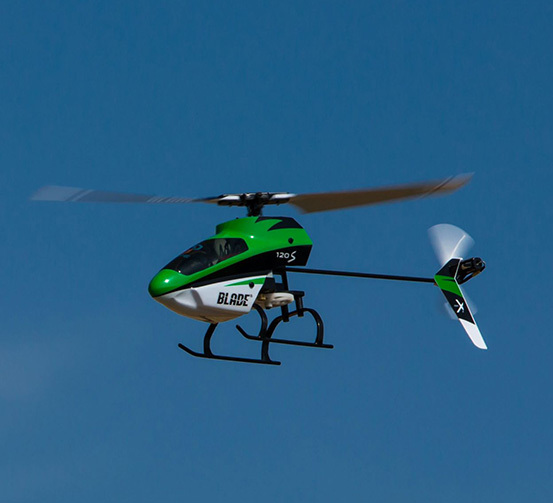 Count on the industry-leading reliability of Spektrum technology to deliver precision control that’s ideal for any flying site environment.